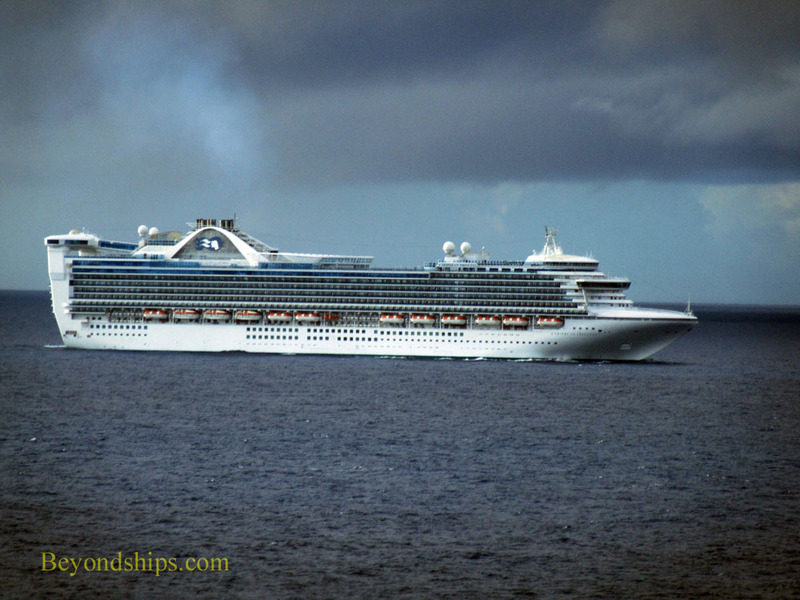 Caribbean Princess is proceeding through the Bahamas Channel on her way to Fort Lauderdale. It is an overcast day but the sea is calm. 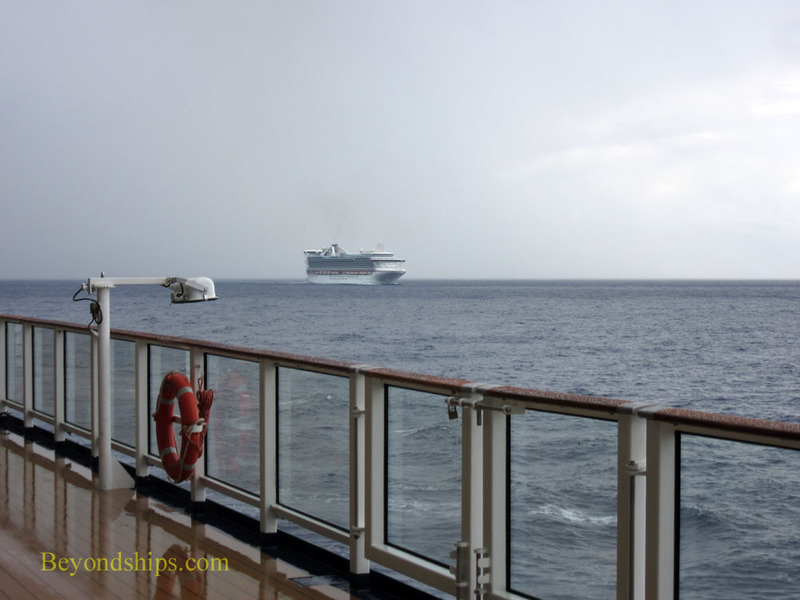 Just as she takes up a position abeam of Celebrity Equinox, a rain squall passes over and engulfs the two ships. Although the ships are relatively close, Caribbean Princess disappears from sight then reappears like a ghostly apparition.